One of the best things to do after a tiring day is to get some relaxing massage and having a nice foot massager can give you great relief. These electronic massagers help restore the blood flow from your foot using vibration. There are several types of foot massagers and if you don’t know how to pick one, our list will help you. Aside from relaxation, did you know that there are other benefits you can get from getting a foot massage? One of them is that it helps lower blood pressure. Here is a list of the unexpected benefits of foot massage. It also just helps to rest on your good old bed after a long day. Here is a guide on the best air mattress that you could check in case you need one. So how do you choose a suitable foot massager? We’ve listed down the best models available offering different features. 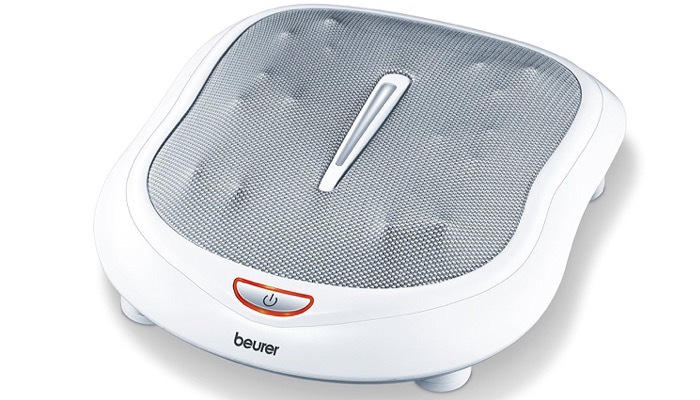 Our top choice is the Beurer Foot Massager With Built in Heat Function. It includes 18 rotating massaging heads that would give you a relaxing, deep penetrating foot reflex zone massage. This foot massager has two-speed levels with different strengths that you can choose from according to your preference. You can adjust your feet to a more comfortable position. A great additional feature is the heat function which gives you a soothing warmth that can relax your tense feet. It’s portable and you can take it with you anywhere. 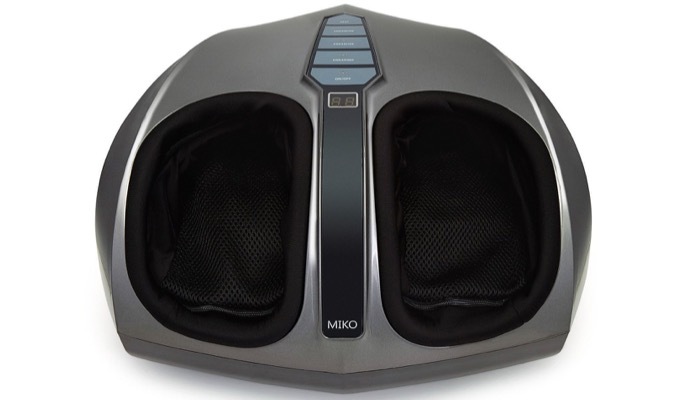 Our next top choice is the Miko Shiatsu Home Foot Massager. It features independent foot chambers to provide you with Shiatsu massage on the bottom and the sides of your feet. You can choose from deep kneading or soothing natural vibrations to relieve muscles that are tired. It has an adjustable heat function so you can set the warmth according to your preferences. You can personalize your massage settings base on strength, massage type, and heat. This foot massager is very portable so it’s easy to bring with you when you travel. It has a removable washcloth cover for easy cleaning. Another great option is the Homedics Deep Kneading Shiatsu Foot Massager. It features a deep kneading Shiatsu style massage that effectively relaxes and soothes your feet. 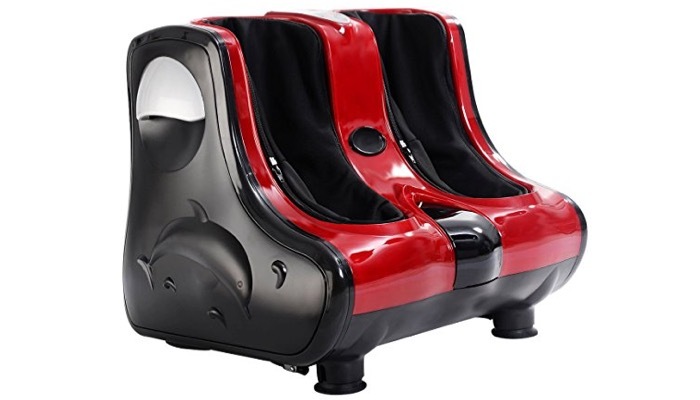 The foot massager has 6 rotational heads on its surface which double the massage strength. It also uses a relaxing soothing heat to make the experience even better. This machine is easy to use, with a toe-touch control so you don’t have to bend to operate the massager. This product is not recommended to be used by diabetics. The Giantex Shiatsu Massager is also a good alternative. 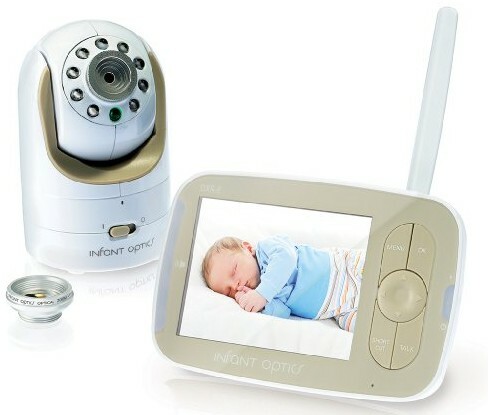 This one is a little bit more expensive but has a great design with advanced features. It’s a multifunction massager that has settings for Shiatsu, kneading, vibration, rolling and heating. You can choose to do foot massage and calf massage simultaneously or separately. It features 3 massage intensities and 3 levels of heating. It’s ergonomically designed which replicates ancient massage systems. It targets the sensitive areas of your calves and the soles of your feet. You should also consider the Naturalico Shiatsu Massager. Unlike the other models, this one is a lightweight massager that has a versatile design so it can also work on other parts of your body. Of course, it’s great to be used on your feet as well. It uses soothing heat to release tension and it pushes away stress and tight fiber muscles. You have the option to turn the heat on or off depending on your preference. 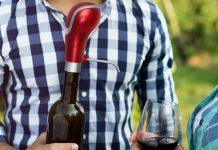 It has an auto shutoff function for extra safety. It’s great for home use, in the office, or on the go. 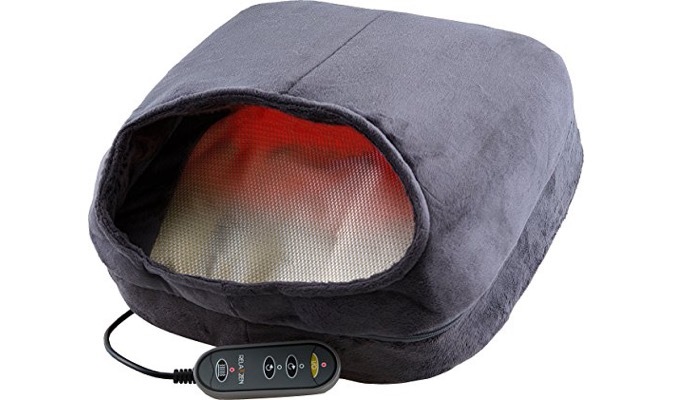 A great affordable alternative is the Relaxzen Shiatsu Foot Massager with Heat. It comes at a great price and has excellent massage functionalities. This features a relaxing Shiatsu massage that will help ease your aching and sore feet. It comes with an easy to use hand controller so you don’t have to bend over to adjust the settings. It has two massage direction choices. 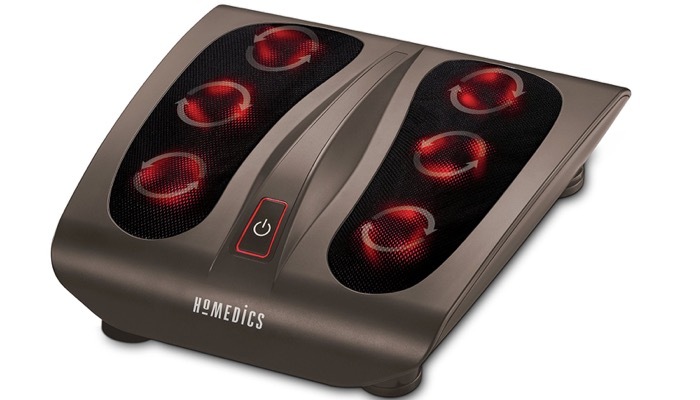 This foot massager also uses heat therapy to give you a relaxing treatment. The plush fabric cover is comfy and it’s detachable and washable for easy cleaning. The type of foot massager you choose would also depend on your other body conditions. Some massagers are not advisable to be used by people with certain illnesses. Most foot massagers have vibration feature. 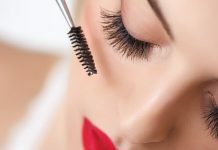 Depending on your preferences, you should check the strength of the vibration and make sure that it’s just right for you. Some people don’t like strong vibrating massages so check if the settings can be adjusted. Massagers also use soothing heat to help relax your muscles. 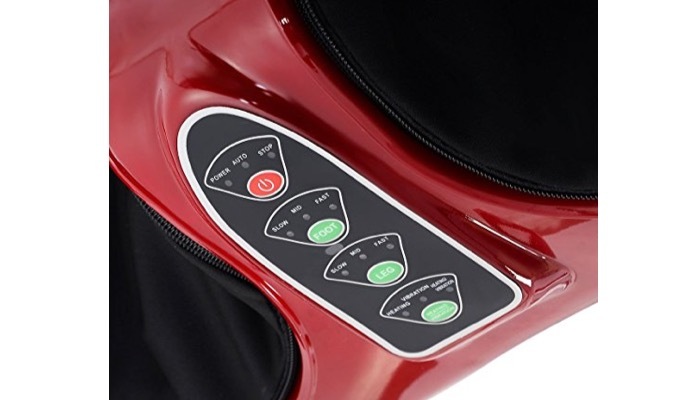 If you don’t have high heat tolerance but would still like a bit of warmth, it’s a must that the massager comes with a heat level setting that you can adjust. Some foot massagers offer kneading functions. This means that it would move in a way that would help knead your muscles to enhance circulation. Some massagers have different settings that you can choose from and this is a great additional feature. They could also use air pressure to massage your feet. This is not very strong and may not be enough when you are very tired from walking all day. But it can be relaxing for someone who just needs a little bit of pressure. People respond to different levels of speed. Sometimes, the speed is too much so it’s great if you can be able to adjust the speed of your foot massager. The more expensive massagers also offer relaxation to the legs and calf. If you don’t mind spending a little bit more, this could be a great investment. It’s important to check with your physician first when buying a massager that has health warnings. It’s never worth risking your health for a temporary relief. On the other hand, check our take for the best callus remover.